Derived from an ancient Japanese soybean health food, the Gamma PGA ingredient used by the UMO facial is ten times more hydrating than the skin’s own natural acids, while also having far more elasticity than collagen. The Gamma PGA absorbs the gold and when applied to the face using UMO’s ultrasonic nano mist technology – several times smaller than water droplets – both the Gamma PGA and the gold are able to pass through the surface of the skin to restore youthful benefits to the deepest layers. 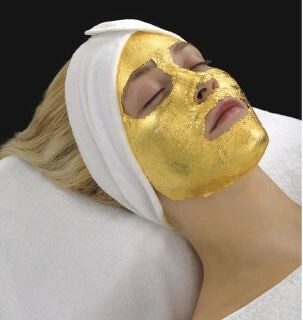 Needless to say, the UMO 24 Karat Gold Facial doesn't come cheap; it costs 250 euros a pop. Available from December 15, 2011.